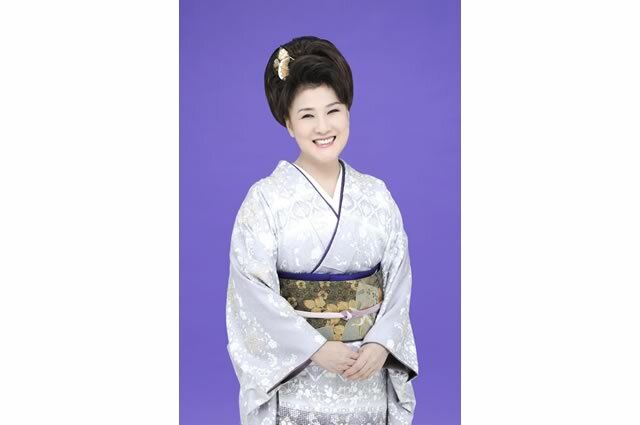 Miyuki Kawanaka (December 5, 1955) is a Japanese Enka singer. She was born Kimiko Kawanaka in Suita, Osaka. At a young age she moved to Osaka where she grew up. In 1973 she debuted as Kasuga Harumi with the song Shinjuku Tenshin. She later tried to become an idol with the release of Kantsubaki no Shima Kara. Both singles failed and she returned to Osaka to work at her mother’s okonomiyaki restaurant. In 1976 she won a contest singing Anatani Inochi Gake. She later released that song as Miyuki Kawanaka; her second debut. It was not until 1980 that Miyuki hit it big with the single Futari Zake.